You have this nagging cough that just won’t go away. So, you make an appointment with your doctor. Then he shakes your hand and tells you to make a follow-up appointment in two months to be re-evaluated. You’d want to run some more tests to know for sure whether you have lung cancer or not, right? If some of these other tests point to cancer, then the odds of you actually having cancer is much higher. Most medical conditions can’t be diagnosed with 100% accuracy. Some medical tests, such as the Thyroid Stimulating Hormone (TSH) Test, are highly inaccurate. So, instead of relying on a single and highly-inaccurate thyroid test, there are better ways to test your thyroid. 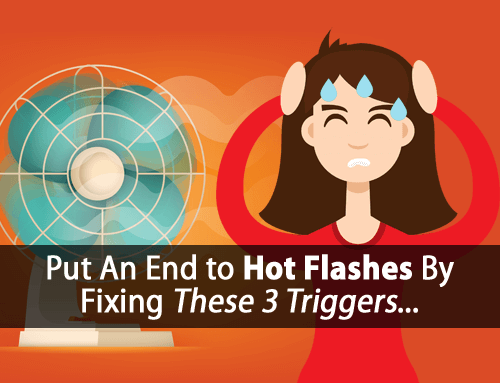 This includes using three alternative thyroid tests that I’ll share with you in a minute. I see too many thyroid sufferers go undiagnosed. I also see too many thyroid sufferers treated with medication alone, whose blood tests show improvement, while their thyroid health continues to worsen. When it comes to thyroid testing, whether you’re treated or not, relying solely on blood tests is an accident waiting to happen. 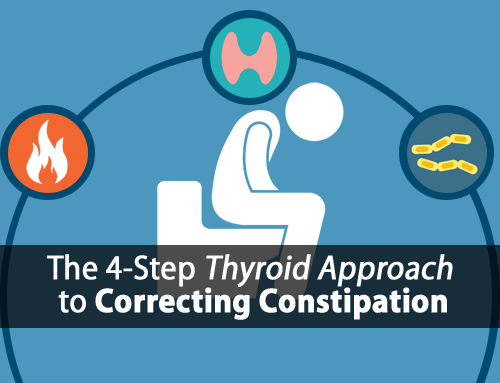 Instead, you have to look at all the data you have available to properly assess your thyroid function. The more data you have, the better. When I work with a client, I don’t only look at blood tests. I also look at their symptoms. Often blood tests appear to be normal, while my clients complain of thirty-plus thyroid symptoms. That’s not normal. Most importantly, I always look at clients’ temperature and pulse, which is essential to interpreting thyroid tests. You can access this thyroid testing protocol for free right here. There are also a number of other test markers I use, including alternative thyroid tests, to get even more data. 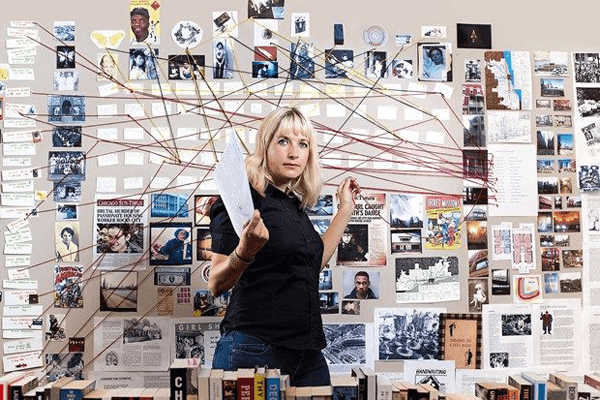 Then I take all of this data and piece it together, like a detective creates an evidence board to rule out suspects and pinpoint the real culprit. One of the biggest problems I see is people depending on one (or even a few) numbers printed on a lab result sheet. Those are just numbers. You have to look at all the evidence. So, if you want to further investigate your own thyroid function, here are a few alternative thyroid labs you can look at. Just as it’s important to not rely on thyroid blood tests alone, it’s important to not rely on these alternative thyroid tests alone either. If one or more don’t indicate a problem, that doesn’t rule anything out. We have to look at all the data collectively. Odds are you’ve already had this test done whether you realize it or not. It’s typically included with standard blood-work as part of the metabolic panel. In hypothyroidism, your body’s production of carbon dioxide production decreases while lactic acid increases. The reference range for this test varies, but is typically around 23 to 29 mmol/L. Carbon dioxide (bicarbonate) levels should be around the very top of the reference range. 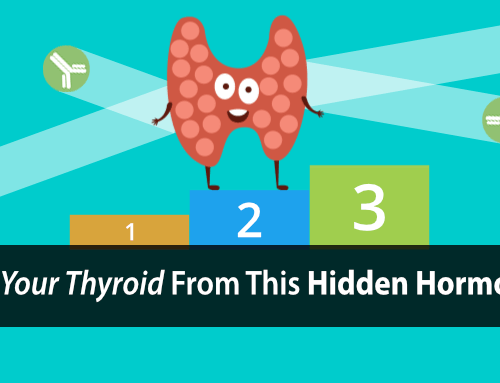 Anything lower can indicate poor thyroid function. This is another test you’ve likely had done, which is part of a standard lipid panel. Keep in mind that we don’t care about HDL vs. LDL. I’ve written about why those don’t matter in this post here. We only care about total cholesterol. In hypothyroidism, cholesterol rises because thyroid hormone (T3) is necessary to convert cholesterol into the protective steroidal hormones including pregnenolone, progesterone, and DHEA. Total cholesterol was one of the tests used to diagnosed hypothyroidism before TSH testing was developed. Above 230 mg/dL (6 mmol/L) when not using a thyroid medication or supplement. Above 200 mg/dL (5.2 mmol/L) when using a thyroid medication or supplement. While many mistake ferritin to be a sign of iron deficiency, it can indicate issues with thyroid function. In hypothyroidism, ferritin levels are commonly low. Normalizing thyroid function has been shown to normalize ferritin levels. Good thyroid function is often associated with ferritin levels in the range of 50 ng/mL to 150 ng/mL. 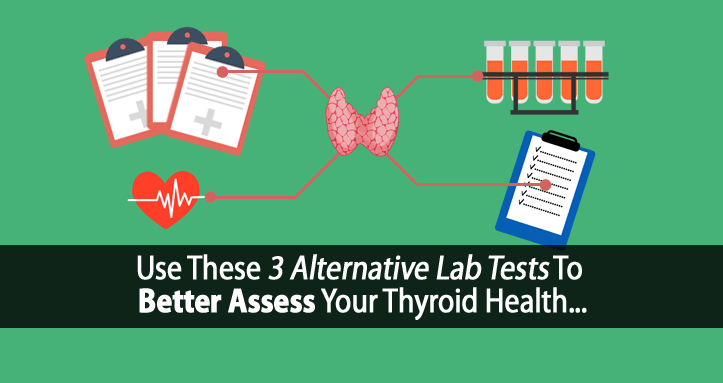 Those are three alternative thyroid tests you likely already have results for that can help you better assess your thyroid health. That’s not to say that any of these tests will necessarily be out of range. That’s not always the case. This is about collecting more data. Remember, the more data-points you have, the better. Just don’t make the same mistakes as your doctor. Most medical professionals have become so obsessed over lab numbers that they no longer see the bigger picture. Instead, make a list of your thyroid symptoms. Look at your results of the three tests we just covered. Most importantly, use our Ultimate Thyroid Testing Protocol to gather the most important data you need to assess your thyroid function. In this testing protocol, I even walk you through how to properly interpret your thyroid blood tests, which you’re doctor isn’t likely doing. Then, look at all this data collectively and see where the signs point to. You might be quite surprised with what you find. Hi Tom, I just looked at my latest lab work. I was within the normal ranges you list above for Carbon Dioxide and Total Cholesterol, but was below 50 (35!) for Ferritin. My TSH on the same panel was 2.93. Should I be concerned and investigate further? Ideally, TSH should be at 1 or below. Above 1.5 and risk of heart disease increases significantly. Ultimately, you would also need to look at temperature and pulse as mentioned in the article. Well, that panel was a year and a half ago. I’ll track my temp and pulse as recommended and see. This is good to know. My last tests included CO2 but not the others. Will ask for next time. Is it possible to have low cholesterol levels with hypothyroidism? My cholesterol levels have been too low for many years and I’ve never limited healthy fats. I don’t seem to metabolize cholesterol very well. Yes, low cholesterol is not uncommon. It’s often a sign that liver function is impaired to the point that it can’t produce adequate cholesterol. This is essential for thyroid function since your body needs cholesterol to produce the protective steroidal hormones. Hi Tom, I had RAI 16 years ago after a pregnancy and was told I had Graves…which I think was a misdiagnosis. Thank God I found a doctor to prescribe Armour thyroid 15 years ago, because I didn’t do well at all on Synthroid. However, I am able to maintain on around 90-105mg of Armour, I cannot tolerate much more than that. Last summer I went extreme hyper with symptoms of heart pounding, high anxiety, high sensitivity to touch, sound, light, high bp, feeling very out of sorts and ended up in the emergency room after being on 120mgs of Armour for a couple of months. However, in looking at all my labs, it always appears that I am on the hyperside with my TSH, last time it was 0.01, but my FT3 was ok at 3.3 and FT4 low end at .77. Over the years, I never can get my FT4 up as it is always on the very low end…even when my TSH is low and my FT3 is normal. Based on your article I have high cholesterol at 242 and lower end Carbon Dioxide at 23. I have been taking my temps and pulse for about a week..and they are low in the a.m around 97.5. My doctor mentioned to me that I wasn’t getting my thyroid at the cellar level, but he never told me how to fix it. I am also insulin resistant. Your diet is helping so much by maintaining a balanced blood sugar. I’m so glad I found you! Your book answers so much…however, I still think I am a mystery, lol! I wonder if I should just be happy with where I am at, because I do react hyper when I increase my thyroid meds.? Hi Jennifer, that’s something that’s discussed in the HR Program. You’re not actually hyper, but rather have high adrenaline. T3 makes us more sensitive to adrenaline, amplifying its effects. So when adrenaline is elevated it doesn’t take much T3 to feel those hyper-like symptoms, while your labs, temp/pulse, etc. all point to hypothyroidism. Does Iron Binding capacity mean anything regarding your thyroid? My test results showed 458, which is high and out of range for that. It’s a mystery why that’s off-I can’t even find anything on the internet regarding it when I’ve searched. I had sodium of 126 and chloride of 91, which I know is low-the doctor didn’t care. He told me not to drink water and go see a psychiatrist! Tom, thank you for your response. Does high adrenaline also mean elevated stress hormones? Is it reasonable to think I can break this cycle if I’ve always been this way- highly stressed? Can you send me a link to correcting it, please. Yes…iron is needed to help T4 convert to T3. Low iron maybe due to gluten which may make antibodies to the thyroid. Lactic acid means mitochondria are not working well. Mitochondria maybe hurt or thyroid is low. Gluten may also hurt the pituitary so it doesn’t make TSH. Zyto scan shows how glands/organs are working and infections. People with high cholesterol may get statin drugs instead of thyroid medicine. That may allow heart failure as it blocks the production of coenyzme Q10 and without thyroid hormone the heart may not have energy. Cholesterol is used to make hormones which may help. 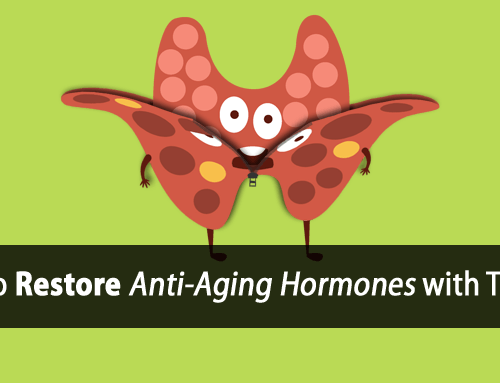 Progesterone helps the thyroid hormone work better. Stress steals Zn/B vitamins and progesterone which may hurt. Thyroid tests may miss many people. MS people may not get thyroid medicine due to a low TSH, they never check free T/free /T3, They get cooling suits/air conditioning since they don’t sweat and are weak due to low thyroid and burned out adrenals. Free T4/free T3 may need to be in the upper range to feel well and for lactic acid to be ok. Mitochondria damaged may need a higher dose of thyroid medicine not according to blood tests, but by symptoms. People maybe born with hurt mitochondria from the mom or chemicals/antibiotics may hurt the mitochondria DNA. Coenyzme Q10/carnitine/acetyl carnitine/Mg/Zn/coenzymated B vitamins and more may help. Zn/Se/enough iron/probiotic may help convert T4 to T3. Taking TSH only in the hospital and taking away the thyroid medicine I had for 30 years when I had Lyme greatly hurt me and burned out my adrenals. They said I didn’t need thyroid medicine, but I did. I had all the symptoms….100% constipation/swelling/low temperature/no energy/could not walk due to low energy/got blood clots etc. They would not allow my supplements of vitamins/minerals/good oils/probiotic or Vit B12 shot or bioidentical hormones. I can never go into the hospital again since they would take away my “life support” again due to ignorance. Thanks for your awesome thyroid articles and supplement help! Is there any test for lactic acid. I have been in a low key exercise class for the last year and a half and I still get sore. What can I do to lower the lactic acid in my body? I am on the program and I take thyroid, progesterone, DHEA, ADK and multi. Hi tom, what advice can you offer for those that have had a total thyroidectimy (?). At times I struggle with extreme lethargy, and certainly have no spark to go out and enjoy life as such.